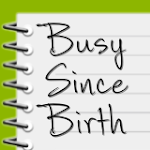 Busy Since Birth: Why Am I So Busy? About Me! Hello! I'm Cheryl, the writer behind Busy Since Birth. Thanks for visiting my site! I started blogging in 2007 at The Life of LilMisBusy, and moved to this new name in the summer of 2012. You can scroll through all of my old posts and catch up on life since then, but here's the quick version. Honestly, I've always tried to keep busy. When I was a kid and started using my first assignment book to keep track of my homework, I became obsessed with it. In college, I even started back-filling events that happened spontaneously, as my planner became a kind of diary as well. My friends gave me the Little Miss Busy book, and when AOL Instant Messenger became popular, LilMisBusy became my screen name. It was through the use of that handle that I met my later-to-be husband, Marc, in the fall of 1999. He started out as Mr. Bee here, which I think he sometimes misses. We've been married for more than 10 years and he is my partner in all things (occasionally even on posts here). After we got married, life seemed to happen even faster. I started a part-time MBA program and was diagnosed with diabetes in basically the same week. Shortly after that we bought our first condo together. And in the blink of an eye, our BusyBee Hannah was born. Eventually we moved to Newton, I finished my degree, and BabyBee Max was born. Oh! And I worked full time through all of it, at two different investment firms where I've been fortunate to follow a steady career progression. So juggling all of that - the marriage, kids, work, school, home, health, life! - has become a topic that fascinates me. How we make choices in life, what we deem important. I've tried to chronicle my experiences here, and created The Having It All Project to be a resource for others struggling to get through it all too. 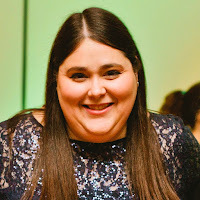 There's the occasional post on Judaism, pop culture, blogging and family vacations too - this site is the baby book I've never gotten around to creating on paper. I hope you find something here that resonates with you. Please comment and share it with your friends!